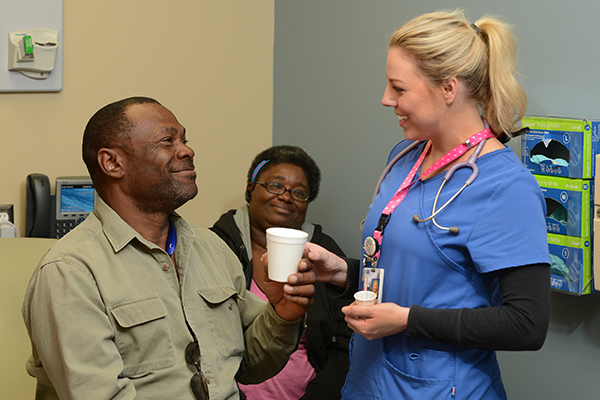 The role of nurses in delivering compassionate care is critical to the health of our community. The impact of the more than 4,000 nurses at Parkland can be witnessed at every corner of our health system and has the opportunity to be amplified with additional professional development resources and training for Parkland's greatest resources. The Texas Center for Nursing Workforce Studies estimates that demand for registered nurses will rise 86 percent by 2020. Nurses stay at Parkland an average of 7.1 years. There are currently more than 76.4 million baby boomers in the U.S. – nearly one third of our population. More than 10,000 of them will turn 65 every single day until 2030. The rapidly aging population will present unprecedented challenges in healthcare, with shortages expected across the entire continuum of care. But one area is expected to take the largest hit – nursing. A stable nursing workforce is critical to providing care today and for years to come. The Parkland Center for Advanced Professional Practice & Nursing Research includes space for nurses to learn together, develop research projects and other activities. Many health systems such as the Cleveland Clinic and Johns Hopkins have a similar center for nursing collaboration. We will also invest in training and education for nurses, allowing them to participate at conference and become involved in professional associations to help position Parkland as a leader in nursing. Professional recognition programs will be strengthened and expanded to celebrate accomplishments. We will provide more resources for nurses to pursue research and publish their findings. The estimated cost to achieve these goals is $435,000. Your gift will impact nursing education, patient safety and quality outcomes. Stand for Parkland and help our nurses continue to keep Dallas healthy.